Last week, Farm Bureau members were in New Orleans for the 100th American Farm Bureau Federation Convention, so we thought we’d share an an iconic New Orleans dessert recipe from the world-famous Brennan’s Restaurant in the French Quarter. Some 35,000 pounds of bananas are flamed annually at Brennan’s in preparing this dessert. Be careful if you try it at home! Watch the video and learn how this was created. Combine the butter, sugar and cinnamon in a flambé pan or skillet. Cook over a low heat in an open area, stirring until the sugar dissolves. 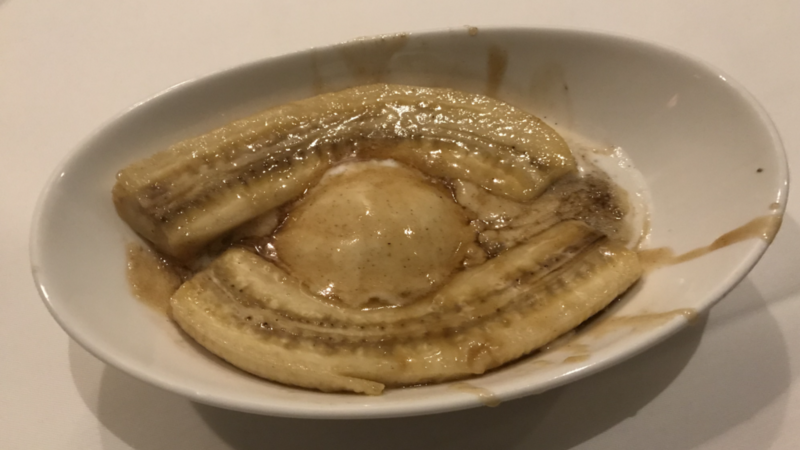 Stir in the banana liqueur, then place the banana halves in the pan. When the banana sections soften and begin to brown, carefully add the rum. Continue to cook the sauce until the rum is hot, then tip the pan slightly to ignite the rum, being careful to control the pan while standing back far enough as the flames will shoot up as soon as the rum ignites. When the flames subside, lift the bananas out of the pan, placing 2 halves surrounding each scoop of ice cream. Generously spoon the warm sauce onto the top of the ice cream and serve immediately.